The Guggenheim Museum Bilbao is one of the largest museums in Spain that belongs to the Solomon R. Guggenheim Foundation. It is one of those rare works of contemporary architecture that dazzle the world with its modern styling and intricate structure. It is located in Bilbao, an industrial port city encircled by verdant mountains in Basque Country, in northern Spain. The museum is standing right next to the banks of Nervión River that flows through Bilbao down to the Cantabrian Sea. The Guggenheim Museum Bilbao features exhibits and works of artists from all over the world. The glittering titanium-clad museum of modern art is designed by Frank Gehry, an award-winning Canadian-American architect. Other than the Guggenheim Museum Bilbao, Gehry is known for a number of renowned architectural designs including Walt Disney Concert Hall in Los Angeles and Louis Vuitton Foundation in Paris. The construction took place from 1993 to September, 1997. On 18th October 1997, the former of king of Spain, King Juan Carlos I, inaugurated the museum. When it was first introduced, its design awed the critics as well as the public. The museum’s modish architecture was openly admired. In the 2010 World Architecture Survey, the museum was said to be one of most notable architectural works completed since 1980. One would say that the artistic contents and exhibits of the museum are not as impressive as the structure of the building itself. To be honest, it won’t be wrong. People from all over the globe usually pay a visit to the museum to witness the avant-garde structure that they have heard so much about. Once you see the place from your own eyes, you will admit that the hype is not for nothing. In 1997, when the mercurial museum was opened to the public, it instantly became a hit. The iconic building has been called ‘a meteorite’, ‘a fantastic dream ship’, ‘a posy of fish scales’ and even ‘the masterpiece of the 20th century’. It is said to be one of the most remarkable buildings designed in the style of deconstructivism. When Frank Gehry was chosen by Solomon R. Guggenheim Foundation as the architect, Thomas Krens, its director, asked him to design the museum extraordinarily. Gehry surely exceeded their expectations. After its immediate and immense success, numerous similar buildings popped up all around the world. The urban building is covered in glass, titanium, and limestone. The exterior structure feature random curves and hurls that catch and throw the lights while the interior is built around a huge, lighted atrium offering picturesque views of Bilbao’s river banks and the mountainous greenery of the Basque country. Genry has aptly nicknamed the atrium as ‘The Flower’ thanks to its unique shape. Most of the events take place in the atrium. The building spans over an area of 32,500-square-meter (350,000 sq. ft.) along the Nervión River in the center of the city. About 11,000 m2 (120,000 sq. ft.) is solely devoted to exhibits and events. The exhibition area has nineteen galleries. Ten of these galleries enjoy a classic orthogonal plan with limestone finishes in the exterior. The other nine galleries have irregular shapes with a swirling, titanium-clad exterior structure. The largest gallery has an approximate width of 30 meters wide and length of 130 meters. You will be surprised to know that the museum was built on a strict time limit and budget. In an interview, Gehry said he ensured that he had an accurate estimate of the budget, and that no political and business interests made any interference during the project. Furthermore, he used his own software, Digital Project, to create detailed computer visualizations and teamed up with the individual building trades to cut down the costs. One glance at the Guggenheim Museum Bilbao and you can clearly see the hard work and dedication Gehry and his team poured into the project. The Conception – How Did the Stunning Museum Come to Be? In 1991, the government of the Basque City approached the Solomon R. Guggenheim Foundation and proposed that they were willing to fund a Guggenheim museum to be built in Bilbao’s rundown port area. 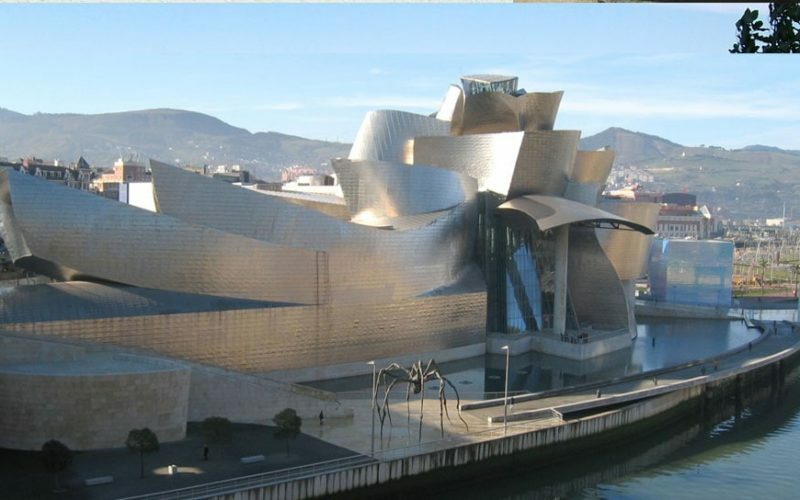 The Basque government covered the construction cost of about US$100 million, created US$50 million acquisitions fund, paid a one-time fee of US$20 million to the Guggenheim and to funded the museum’s yearly budget of US$12 million. On the other hand, the Foundation agreed to manage the museum, arrange temporary events and display parts its permanent collection. On 18 October 1997, King Juan Carlos I of Spain conducted the inauguration. The night before its official inaugural, a pre-opening show was conducted outside the building that featured an open-air light show and concerts. About 5,000 residents of Bilbao appeared at the event. If you are into avant-garde structures and experimental art, you will have a great time here. The museum is renowned for its large-scale exhibitions that display works by contemporary artists from all over the world. It houses Guggenheim’s permanent collection as well as temporary installations. Previously, it has featured Richard Serra’s famous 100-meter-long (340 ft.) Snake, notable paintings by Willem de Kooning, Mark Rothko and Clyfford Still, Daskalopoulos’ the Luminous Interval and David Hockney’s exhibition that lured 290,000 visitors to the museum. Moreover, the museum is known for its ever-changing themes. For instance, one exhibition at a time would be completely dedicated to Russian art while at another time, it would be all about Chinese artwork. Two of the renowned permanent collections at the museum is Serra’s the Matter of Time and a series weathering steel sculptures. The ticket prices change according to the type of exhibition and season. 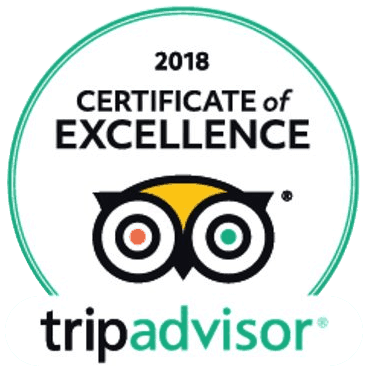 Tourists can opt for free guided group tours in Spanish or go for requested private tours in English, French among other languages. The management offers PDA video guides for those with hearing impairments, free self-guided audio tours in several languages and children’s audio guide. The museum is wheelchair accessible. Since its opening, the Guggenheim Museum Bilbao has become one of the most popular tourist attractions in Spain. Millions of tourists have come since. The museum has even been featured in movies and music videos. When pilgrims of the Camino de Santiago pass through Camino del Norte (the Northern Way), they usually make a stop at Bilbao to explore the old-worldly city with an urban context. The pilgrimage from San Sabastian to Santiago roughly takes about 6 weeks. The Northern Way of the Camino de Santiago begins in the Basque Country by the seaside known for its amazing seafood. Camino del Norte continues to run besides the coastline and on the way, pilgrims discover quaint fishing towns, a handful of sun-kissed beaches, rocky coves, historic spots, and superb seafood at every other eatery. Whether you are short on time or not, it is recommended that you make a stop at the inspiring Guggenheim Museum Bilbao. Even if you are not particularly interested in the art, do go and check the museum out. The building itself is such a visual treat that the trip is completely worth it.